Have you ever thought how many people around the world like Japanese Cartoons? 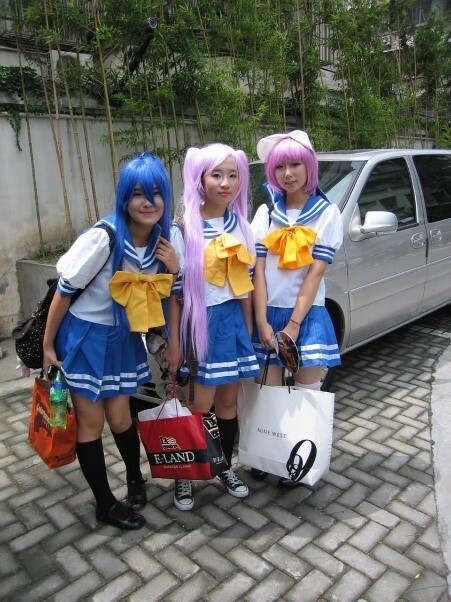 Costumed fans at an anime convention in Shanghai. Photo by David Frank. Statistics indicate the anime industry managed to swell its revenue by close to $2 billion in 2016. Interestingly, the 200 billion Yen growth has been quite consistent for the past three years. Currently, the anime industry may not be one of the most financially lucrative, but it is rising steadily. Collectively, publishers, developers, animators, and other creative artists and agencies are responsible for generating close to $16 billion annually. Interestingly, the industry has been fairly consistent in the all various mediums in which it is distributed. The report indicates that all these subsectors are growing at equal pace. 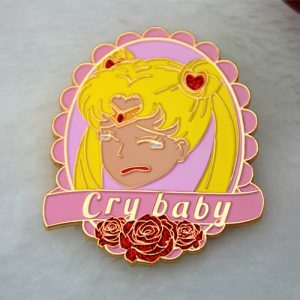 There are television shows, musical plays, radio shows, series, video games, general merchandise (Custom Lapel Pins, Lanyards, Clothes, Jewelry, ) and the fan base has become larger and more loyal than ever before. 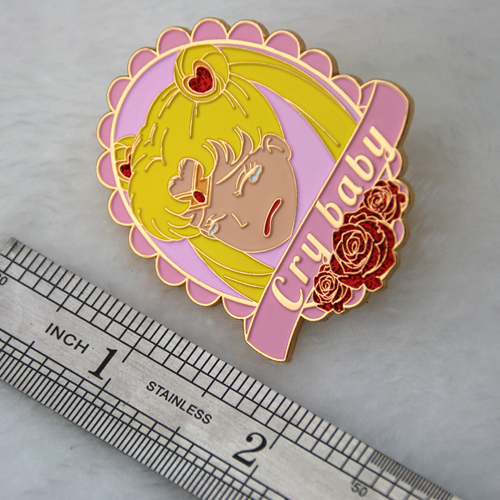 If we can talk about one of the most famous let’s mention Sailor Moon …. Just to further highlight the popularity of Sailor Moon, a study discovered that 3,335,000 websites exist which are dedicated to this series, while only 491,000 exist for the popular Disney icon Mickey Mouse. Sailor Moon (Sailor Moon) Japanese cartoonist Umno Naoko 1991 comic works, comics in the club published comic book “な か よ し” is a master piece about Japanese lady’s comic book. In the history of Japanese comic has a significant impact and status. The Animation and comic version of the creation at the same time, after being adapted into a musical and special drama. The heroine, Tsukino Usagi’s past life is the “silver millennium kingdom” Princess “Qian Nidi”, and fell in love with the prince of the Earth, Andy Mio (Tuxedo Mask) but their love is Prohibited. Later, the Queen Metaria manipulated human to invade the moon, Andy Miou for the protection of Qian Ni Di, loneliness and death, Princess Qian Ni Di also suicidal suicide for love. After the rebirth of the “Moon princess” is Tsukino Usagi, a lively, cheerful, and crying, timid second year student. One day, she met a black cat “Luna”, turned into a “sailor moon”. As a just fighter, the rabbit shoulder the mission, that is, with the soldiers found magic magic crystal, to protect the princess. At that time, the dark empire, “Queen of Berelli” also began to look up magic crystal to gain more power to kill sailor moon. In order to get a huge silver crystal, the come to the city where sailor moon live, provoking strange things. The two sides launched a fierce battle. Since the release, Sailor Moon has won wide acclaim and has become one of the world’s most popular comics and anime series. The entire series has sold more than 35 million copies worldwide, one of the highest-selling series to date, and critics appreciate the art, features and humor of the story. Anime is popular in several countries and can be said to be one of the most influential animations to promote Japanese animation in Western culture. The girl warrior moon usually cites a magical girl team concept, and in order to revive the magic girl’s genre. Franchising is also considered to redefine the type, because the previous magic girl did not use his own power to combat evil, the concept is now considered one of its standard archetype. 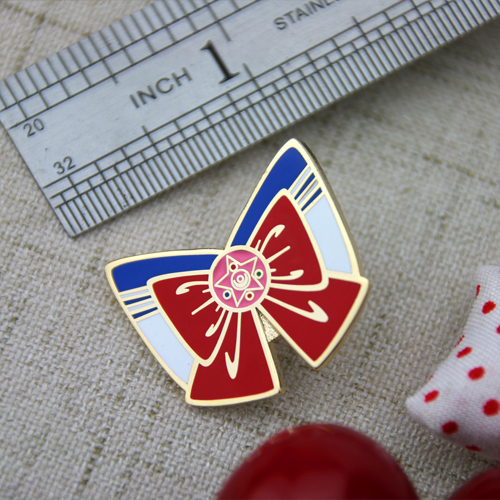 After the cartoon was popular all over the world, a series of peripheral products are designed and sold, of course, including lapel pins.